This is 2 pounds of Taffy Town's Molasses Flavored Salt Water Taffy. Our Taffy is manufactured by "Taffy Town" one of the oldest companies in the world to make Salt Water Taffy! For over 79 years "Taffy Town" was known as Glade Candy Company offering individuals the finest in Gourmet Taffy. In 1995, their name was changed to "Taffy Town" to reflect their total dedication to taffy excellence. Using a whipped process that produces a soft texture taffy that simply melts in your mouth, they then add the finest in domestic and imported flavors to obtain perfection in confection. Taffy Town factory is completely peanut, tree nut and gluten FREE! We buy and sell 100's of pounds a week so you are sure to get only the freshest product! 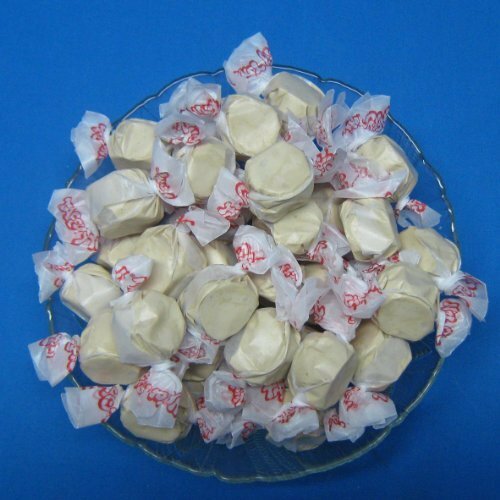 Salt Water Taffy has been an old time favorite of everyone for many years! "Taffy Town" Taffy is certified Kosher Dairy This Salt Water Taffy is a Product of USA. We pack our Taffy only after it is ordered to stay nice and fresh for you. 2 Pounds! Each Piece is Individually Wrapped! All orders shipped UPSP Priority Mail! We use only FDA and USDA compliant Clear Poly bags that are heat sealed! We sell hundreds of pounds of candy a week so all our candy is extremely fresh! If you have any questions about this product by Taffy Town, contact us by completing and submitting the form below. If you are looking for a specif part number, please include it with your message. Swedish Fish Soft & Chewy Candy - 2 oz. - 24 ct.